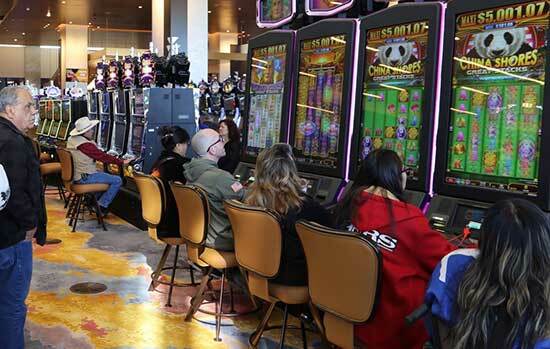 The Pueblo of Tesuque opened a new casino north of Sante Fe and near The Sante Fe Opera. It replaces their struggling Camel rock Casino, which is now closed. The Tesuque Pueblo broke ground on their new Sante Fe casino in January 2018. Construction was completed by November 2018, and the casino grand opening was November 23rd. The Cottonwood Kitchen at Tesuque Casino offers a seasonal menu, a lounge and bar area above the casino floor, and a 75-seat outdoor patio. The building that used to be the Camel Rock Casino is vacant and the Tesuque Pueblo is considering what the new use will be. Last month the tribe opened their new casino, Tesuque Casino. Official plans have not been announced. However, there has been some speculation. One possibility is for an indoor flea market. The Tesuque Casino was built on the property for the tribe's previous outdoor flea market. When that had closed, a nearby tribe had opened a new flea market. The Tesuque Pueblo has expressed interest in adding more family friendly entertainment to the area. Plans for the building are expected to be announced within the next two to three months. On Tuesday the Camel Rock Casino closed. Camel Rock Casino was opened for over twenty years. The Camel Rock Casino was in operation since 1995. 200 people were employed there. 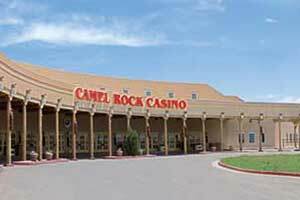 The closing of the Camel Rock Casino marks a new beginning for the Tesuque Pueblo. The tribe will be opening the new Tesuque Casino at a location that is close to eight miles away. The new Tesuque Casino will open on November 23 at 5 p.m. One day after Thanksgiving. It will be 72,000 square feet. It is located off of U.S. 84/285 and on tribal land. The new Tesuque Casino will employ 275. The casino will also serve as a way to boost the local economy for the tribe and help fund services for members of the tribe. 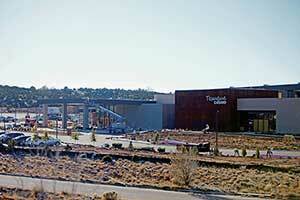 The new Tesuque Casino was developed near the open air theater, the Santa Fe Opera. The property used to be the location for a flea market. Subcontractors were hired from the local area as much as possible. Products for the Tesuque Casino will be purchased from local vendors. This includes supplies and food. For dining there will be The Cottonwood Kitchen at Tesuque Casino. The restaurant will offer an exhibition kitchen, a patio with 75 seats, and a lounge with bar area that has a view of the casino floor. The casino will offer 10 table games and over 800 slot machines. 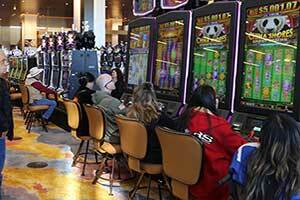 The new Tesuque Casino will be using new gaming machines and machines from the former Camel Rock Casino. Design for the casino includes giant windows where guests can see the vistas north of Santa Fe and the Sangre de Cristos. Plans have not been announced for the site of the former Camel Rock Casino property. Tesuque Casino officially opened its doors today and saw an estimated 5,000 visitors come in to experience this new 72,000 square-foot casino. The casino is the second largest in the area next to nearby Hilton Santa Fe Buffalo Thunder Resort and Casino and features 800 slot machines and 10 table games. 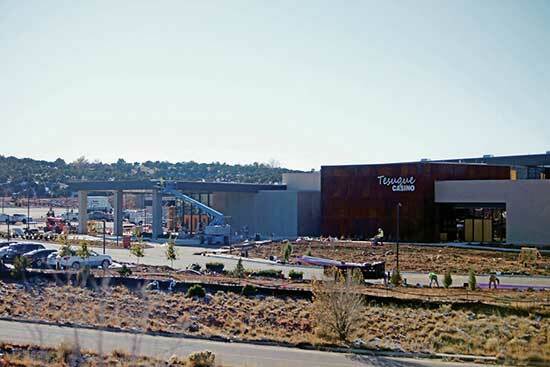 Tesuque Casino replaces the 50,000-square-foot Camel Rock Casino which will now close. One of the first to visit, Marvin Martinez, summarized the difference between the new and old casinos: "It's a fancier casino than the older one. It's really nice, it's really open and the view is beautiful. A lot of machines; a lot more machines than what they had at Camel Rock."